Gringo is one of the latest addition to the interesting food scene at the Legaspi Village of Makati City. It's nestled along the street of Carlos Palanca which is a popular nest for pubs and bars. From my work place, it only takes less than 5 minutes to get there, and since this is the case, we grabbed the opportunity to give the place a try, and experience something "new" and "different". 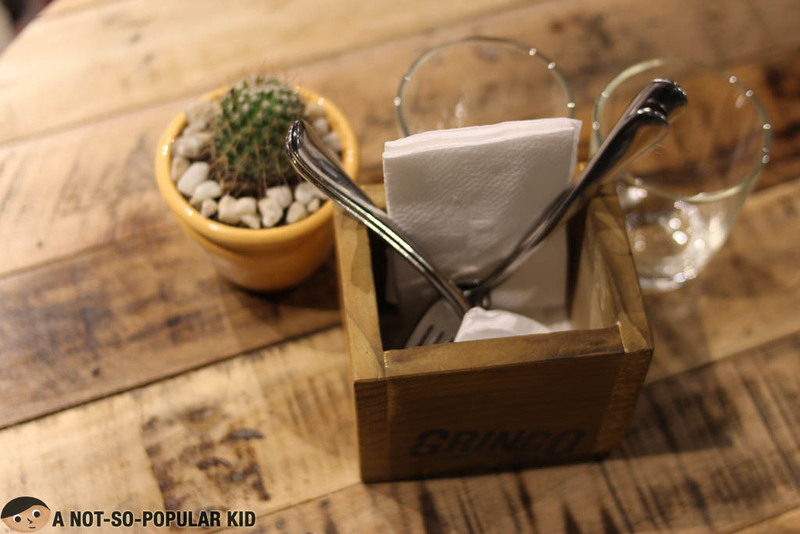 Gringo allows you to feel at home with its highly comforting interior. Seats are mostly cushioned and the lighting makes everything look so optimistic and bright. 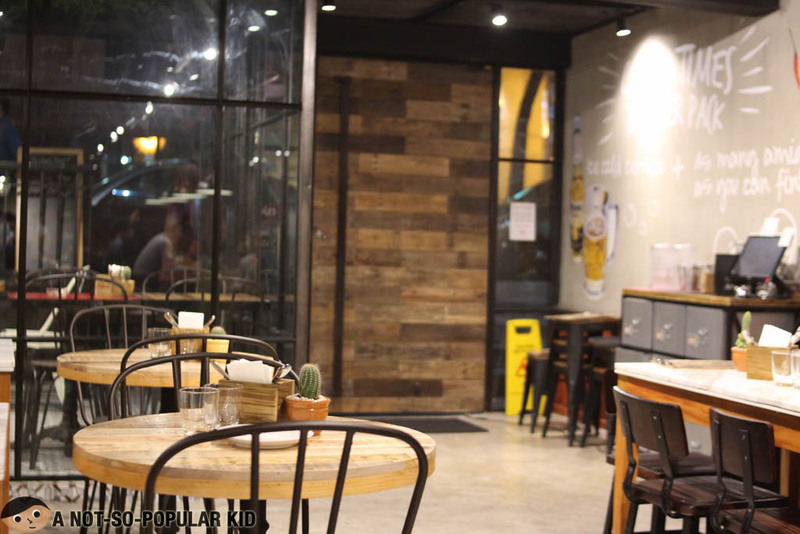 It basically feels like having a family dinner, but a very open and casual one where you can loosen up and enjoy. Just what the tagline says, Gringo puts focus on "Chicken, ribs and friends"; hence, the menu is centered towards the chicken (which comes in two flavors) and the ribs. 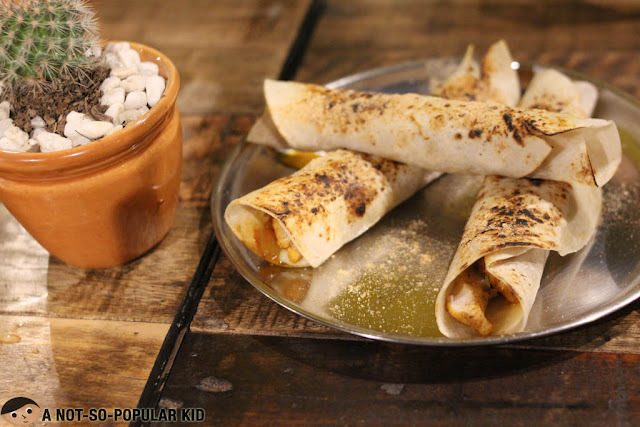 Of course, you'll still see other traditional Mexican dishes such as burrito, quesadilla, taquitos and more. Let's check out what we had for the night. This starter was definitely a great starter as it was generous as to its cheese and meat! It also had a balance mix of flavors and just a subtle "chili". 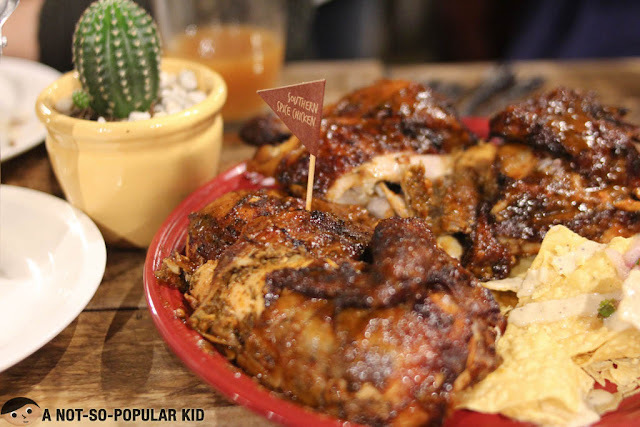 Curious as to where the "chili con carne" is? 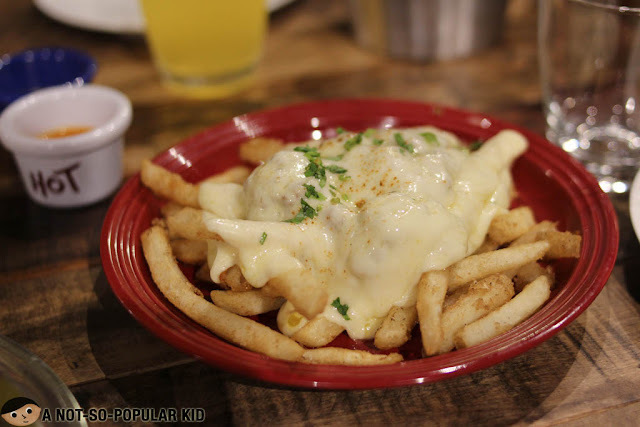 Well, it's hidden under the pile of fries and the gooey cheese. 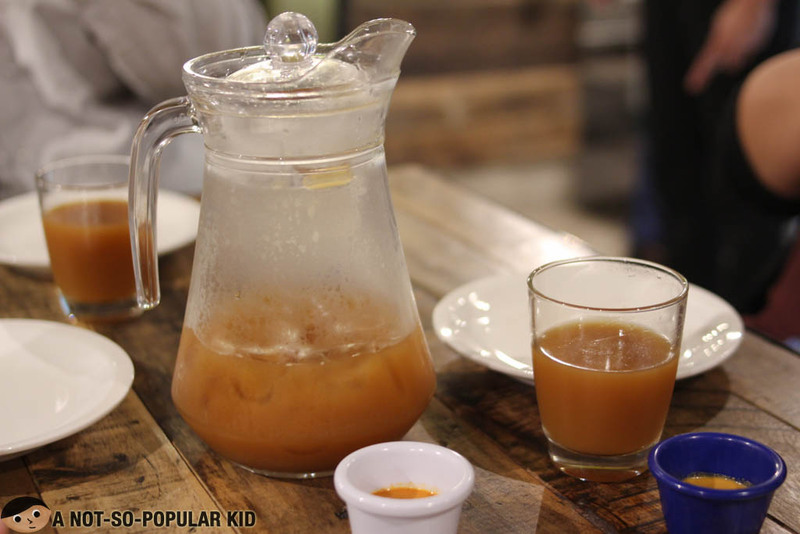 The houseblend iced tea here in Gringo is surely refreshing with its unique blend. It got this subtle "thai milk tea" touch that tickles the palate. Also, it was rightly sweet and very much refreshing! 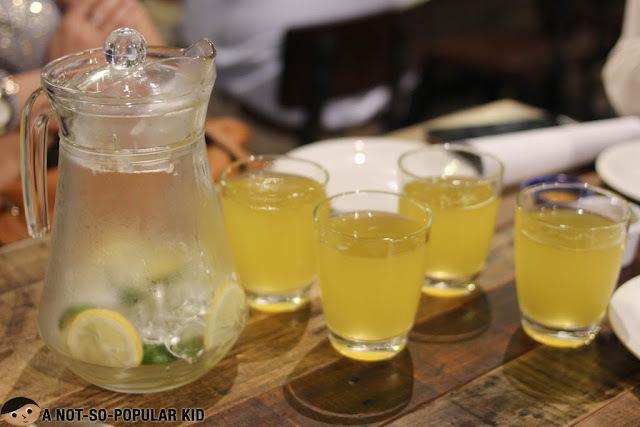 The lemonade was also interesting with its citrus goodness, but my friends didn't like it much as the taste mimicks that of a calamansi puree. On the other hand, I was able to appreciate its refreshing taste! 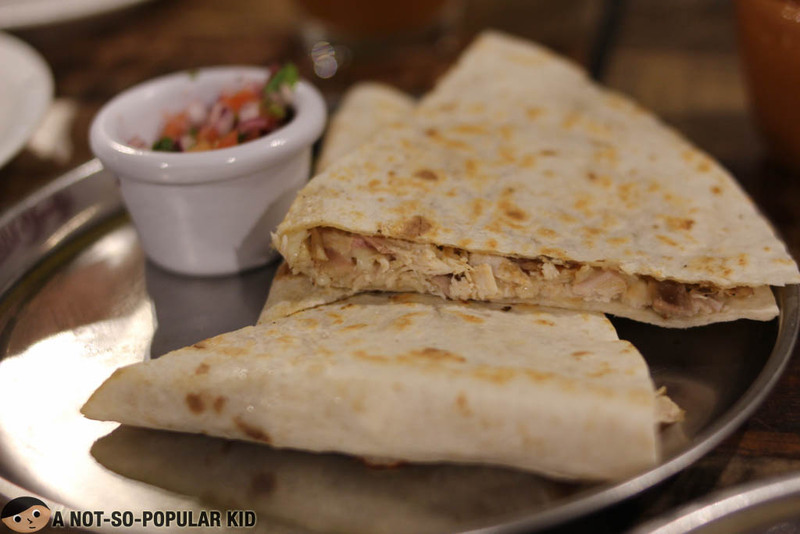 This quesadilla is perfect for chicken lovers as this has generous serving of meat. 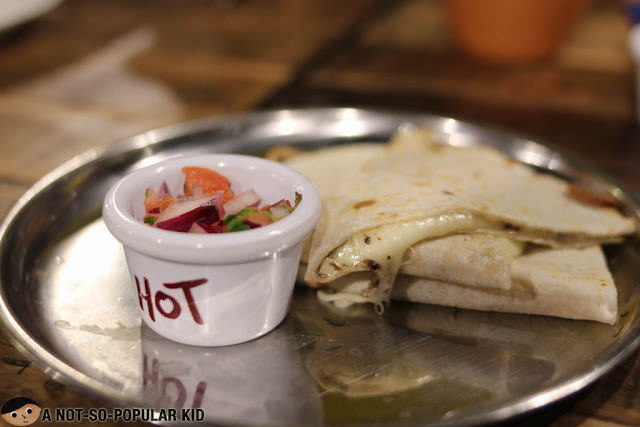 It also has a blend of cheese making it an authentic Mexican delight! Gringo has the skill of making each dish very much pleasing to the eyes, and this one is an example of making a simple dish look dashing! 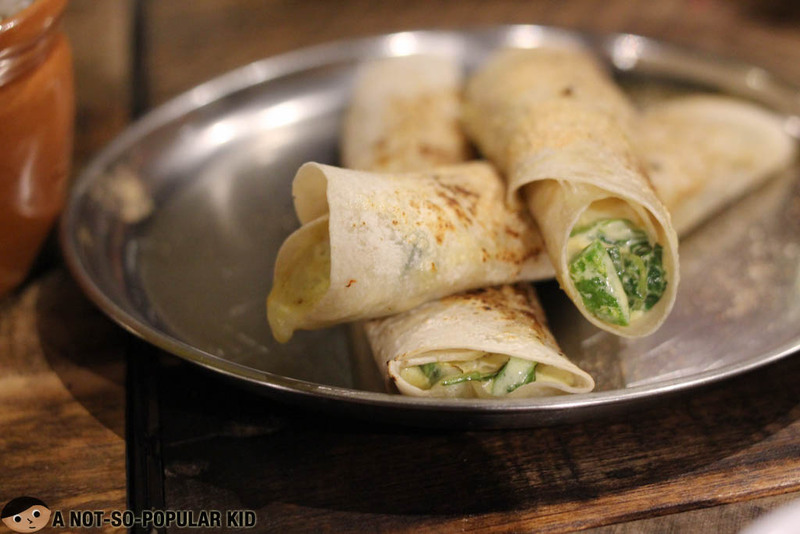 For cheese and veggie lovers, you need to try this out! Truffle-lovers, rejoice! You now have an affordable access to a truffle cheese dish with Gringo's quesadilla. You'll love it because of its distinct yet not overwhelming truffle essence! This buffalo chicken taquitos had an interesting blend of flavors. It got cheese that blended well with the lightly spicy buffalo chicken. 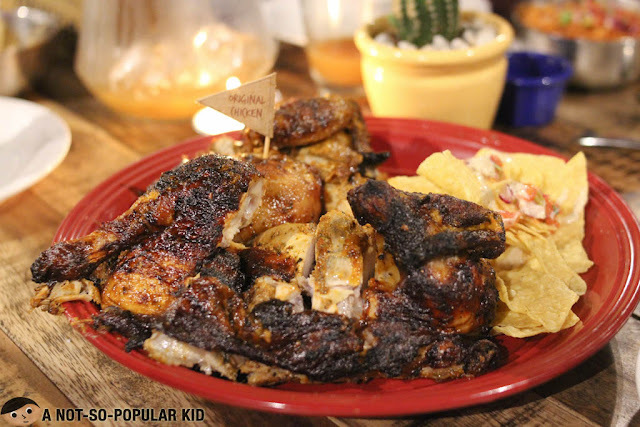 The original chicken had a set of playful spices that created one uniform blend of interesting flavor. The meat itself was also tender allowing the flavors to seep in. Considering the price, this dish really provides high value for your money. 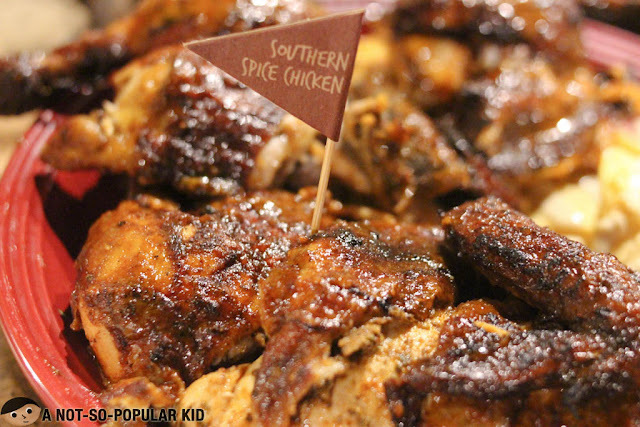 The Southern Spice chicken, compared to the original, had a sweeter and smokier taste (similar to that of a barbecue). It also got sufficient juiciness allowing you to basically enjoy it! 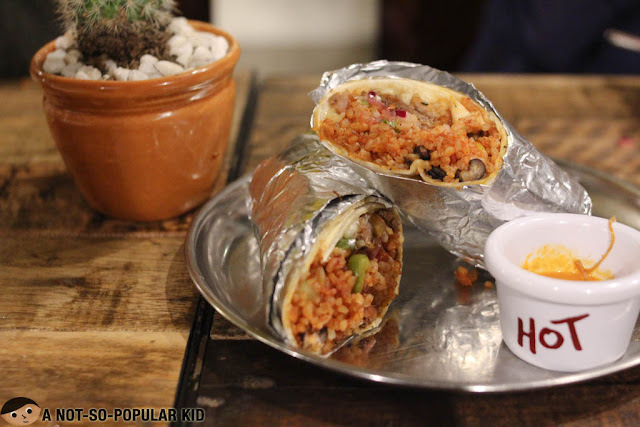 This slow cooked buritto contains all the classic Mexican spices, but what made it somehow remarkable for the palate was the sweetness of the beef. 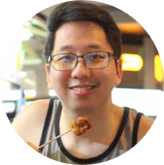 Alright, you've reached almost the end of this blog post, and I hope it was helpful in providing insight. Anyway, feel free to read the summary below for an easier read. Gringo is suitable for those who want a slight jolt to their buds, especially if you are growing tired of the food scene around Makati. 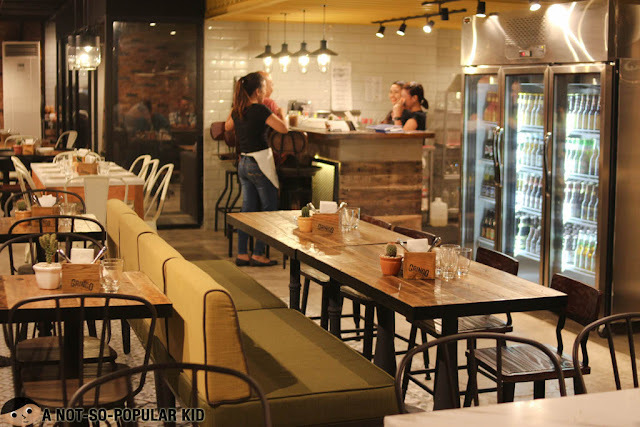 It may not be the best Mexican restaurant there is in town, but the dishes breaches the satisfactory level and most are very much pleasing to the eyes. Ambiance has this balance mix of posh and casual feels making it a good venue to hangout and chill (if not only for the flies who drops by occasionally). Staff were generally friendly but could be more attentive of the needs. 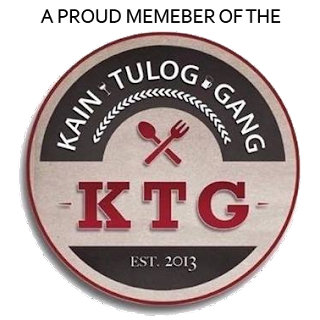 On top of all, dishes ranges from affordable to "just right" prices.